My wife messaged me earlier today and asked me a question. “Do we have a digital copy of The Incredibles?” I responded with a no, and she proceeded to tell me about a newish app from Disney that will give us a digital copy of The Incredibles just for downloading and connecting the app to my iTunes account called Disney Movies Anywhere. I got really excited because The Incredibles is one of J’s favorite movies. I downloaded the app and tried to log into my Disney Movie Rewards account. The login failed multiple times. I tried to login in on my computer with the same username/password combo and was logged in, so I tried on the app again and the app said my account was locked because of too many login attempts. When J decided he wanted to play with me, I put the phone down for a bit and thought I would try again after J went down for a nap. About 3 hours later, J fell asleep so I grabbed my phone and tried to login to the app yet again. After yet another round of failed login attempts, I decided to use my business email to create a new account. Finally after creating a new account I was able to log in and check the app out. Once logged in, you are taken to what is basically the Disney iTunes Store page. The menu has 5 selections that you can choose from. The first one is Featured. On this page you see the new releases, and top choices for Disney/Pixar/Marvel films. The next selection is Films. This page let’s you browse the films with more specific categories. The third selection is My Collection. This is basically iCloud for you Disney movies. 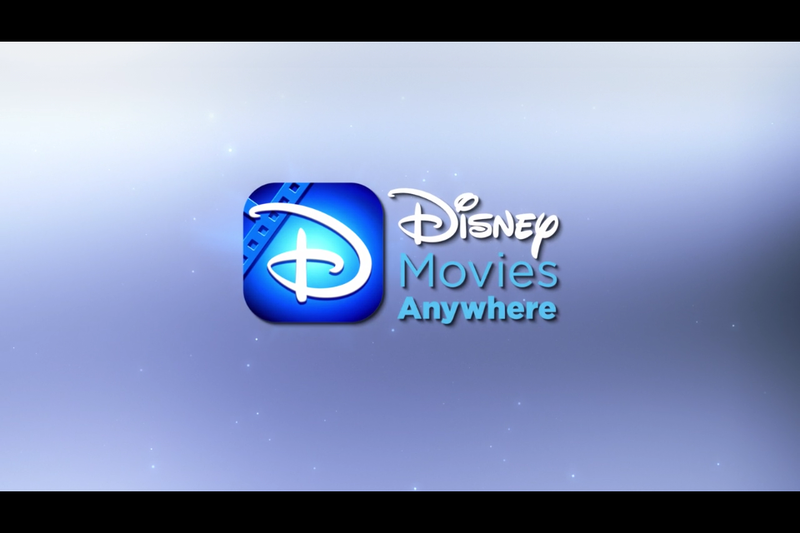 On this page you can see any Disney movie that you have the digital copy of in your iTunes account or any that you have purchased via the app. The next selection is pretty cool, it is called Discover. On this page you can see exclusive clips/behind the scenes looks at some of the new releases. The last selection is … (or more). This page is where you find the settings tab, a tab to claim Disney Rewards from your Blu-ray/DVD purchases, and a tab that shows you Disney’s apps from the iTunes App Store. And there you have it, everything the Disney Movies Anywhere app has to offer in one paragraph. In all honesty I am not super impressed with the app. After only an hour of using the app, I have already had to update the app and still got an error message that automatically shuts down the app. Everything you can do in the app you can do via iCloud or the iTunes Store. It doesn’t look like you get any kind of discount for purchasing the digital copy through the app. It does however look like you get the same special features from the Blu-ray/DVD when you purchase through the app, but to be honest J would be the only one watching movies on this app and he really doesn’t care about the special features. I will keep this app on my phone because it looks promising and I got The Incredibles for free, but I will still be purchasing the Blu-ray+DVD+Digital Copy of my Disney/Pixar/Marvel films. I would suggest waiting until the bugs are worked out before downloading. After a little over a week of use, the app has lived up to the hype. J has played at least one of our Disney/Pixar/Marvel movies once a day since the download and he loves every second of it.